Add excitement and drama to your performance with this high-quality metal sword made especially for belly dancers. 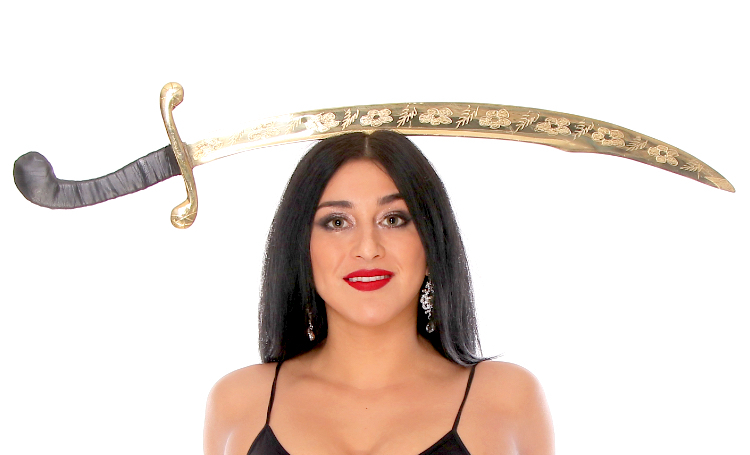 Add excitement and drama to your performance with this high-quality gold metal sword made especially for belly dancers. Properly balanced, dulled blade, and an authentically styled faux "leather" bound handle make it the perfect stage prop to wow your audience! The blade is brass and is etched with floral designs. Handle bound with soft, leather-like vinyl and fabric cord.